I’ve had a show in the works for a little while and the opening is right around the corner. This will be my first show in Michigan and I’m looking forward to introducing my work to the area. 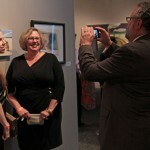 The exhibit is a group show titled “Penetrating the American Psyche” opening at (SCENE) Metrospace in East Lansing. Artists include: Amy Guidry of Lafayette, Louisiana, Teresa Petersen of Detroit, Michigan, and Peter Richards, Valentin Pulido, Jefferson Kielwagen and Ethan Tate, of East Lansing and Lansing, Michigan. 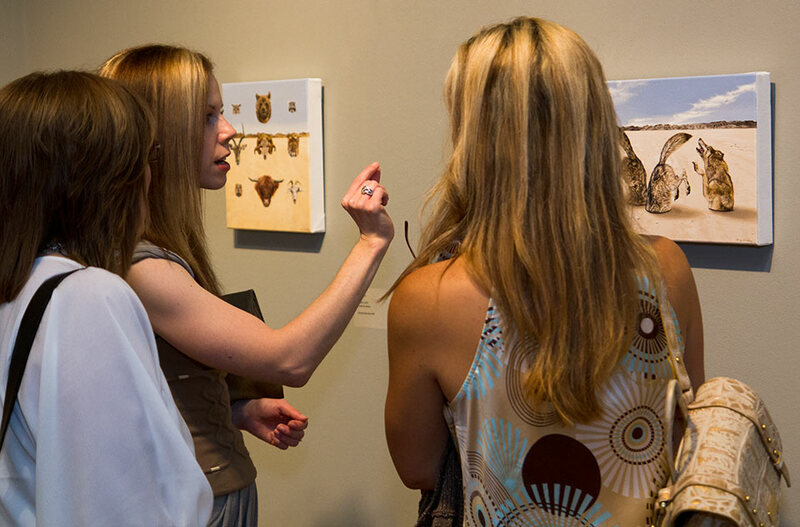 The opening reception will be held September 6th from 6-9pm and the exhibit will run through October 20th. 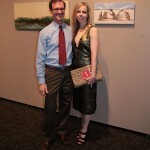 I recently attended the 2013 Art Melt Preview Party for the exhibition currently taking place at the Capitol Park Museum (formerly Louisiana State Museum) in Baton Rouge, LA. 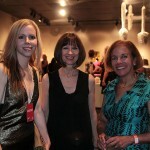 The jurors were in attendance as well- Jordana Pomeroy, Executive Director, LSU Museum of Art; Susan H. Edwards, Executive Director, Frist Center for the Visual Arts; and Jo-Anne Birnie Danzker, Executive Director, Frye Art Museum. 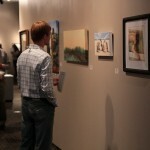 The exhibit is up now through August 24th. 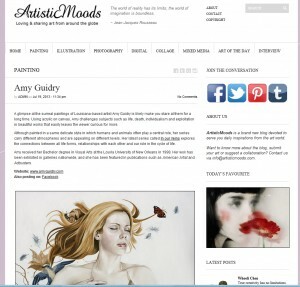 My work has recently been featured on Artistic Moods. Many thanks to Sandra Apperloo for the feature which includes many of my paintings from over the years. She writes, “A glimpse at the surreal paintings of Louisiana-based artist Amy Guidry is likely make you stare at them for a long time. 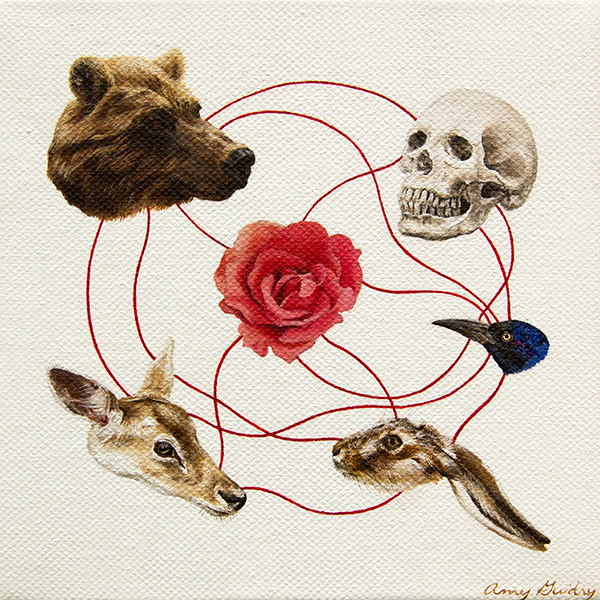 Using acrylic on canvas, Amy challenges subjects such as life, death, individualism and exploitation in beautiful works that easily leaves the viewer curious for more.” View the feature online here: www.artisticmoods.com/amy-guidry/. I’ve recently begun a new painting in my In Our Veins series. 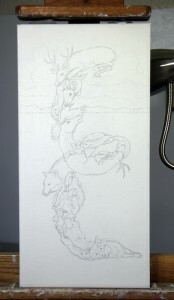 As featured here I start with a rough sketch on canvas to work out the positioning and basic outline of the subject(s) before moving on to the first layer of paint. It will be an acrylic on canvas and it is 10″ wide by 20″ high. 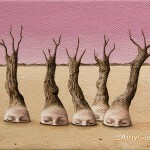 I’ll be posting more about this piece soon, in the meantime, check out the series here: www.amyguidry.com/wild_west.html. One of my very most recent paintings from my In Our Veins series has found a new home. I just posted it here recently but for those that are new, it is an acrylic on canvas, 6″ x 6,” titled Connections. In keeping with the series, Connections illustrates the connection between all of us and nature. View the painting online here: www.amyguidry.com/connections.html. I’ve just finished two new paintings in my In Our Veins series. 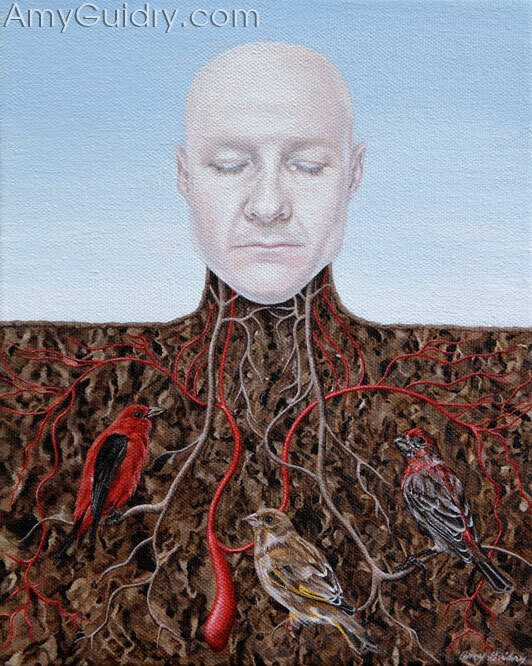 The first is titled Connections and is a 6″ x 6″ acrylic on canvas. The second is titled Bound and is 6″ wide by 4″ high, also acrylic on canvas. While both are different in content, the basis behind each painting is very similar. 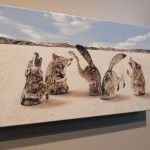 Both illustrate the connection between all species, whether plants or animals, including humans and serve as a reminder of the significance of such a relationship. View the paintings online here www.amyguidry.com/connections.html and here www.amyguidry.com/bound.html. Judging by my title, you’d think this was a quiz you’d find in Cosmo. Actually, I read an article by Norm Brodsky in Inc. Magazine recently that inspired me to write this post. He mentioned seeing a Rolling Stones concert, watching Mick Jagger performing at the age of 69, wondering how or even why he does it. He’s not exactly hurting for money, he’s getting older- sorry, but true, and touring is a lot even for young kids, so why continue to do it? Mr. Brodsky’s point- passion. Clearly this man has passion for what he does. I can completely relate. While I am no Mick Jagger, I can completely relate to the need (yes, this is a need) to create. That passion is what makes you get up everyday and do what you do, despite rejection, despite challenges, and despite just having a bad day in general, only to get up the next day and do it all over again. There are some artists out there that give up because they didn’t get into a show or a particular gallery or their work didn’t sell like they expected. 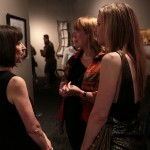 There are those that give up because galleries are not knocking down their doors. And there are those that continue to paint (or sculpt, or draw, etc.) but don’t ever expect anything to come of it. If you are happy with that, that is perfectly fine, but if you want more for your art, then you’re going to have to give it your all. Whatever you choose to do in life, that has to be your passion. It has to be the thing you get up for everyday. It has to be the thing you choose to do and do it well. Be the best damn artist, baker, or candlestick-maker ever. And it doesn’t stop there. Don’t just master your craft, but also learn the skills required to make that business succeed. Continue your education- no, I don’t mean go back to school, necessarily, but continue to learn through other sources such as the wonderful web. And get out of your comfort zone. Being successful at anything requires taking on new challenges or doing things we are not accustomed to. Lastly, be flexible. If something doesn’t go as expected, learn to adapt or figure out a new way of accomplishing the task at hand. It seems like a given that you are passionate about your art, but that’s not always the case. Figure out what it is that brings you joy and if need be, kick it into high gear. Take charge of your [art] career.